With Google Cloud Run introduction during the Cloud Next 2019, Serverless/Managed Compute family got a new member. 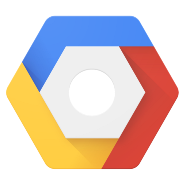 This post contains instructions and advice on setting up and using Google Cloud AI Platform Notebooks as a Python development environment. So you want to use ephemeral Dataproc Clusters, but don’t want to lose your valuable YARN and Spark history once my cluster is torn down. Google Cloud best practice for data science with IoT.